They are so nice and financing is easy. It doesn't matter what your credit looks like so if you need a new start, this is your place! Amazing place to buy a car and I will never go anywhere else. Anytime I have ever had a problem with my car they have fixed it without any hassle and in a timely manner. If I could give more than 5 stars I would! I looooove this place! They are so understanding and will help you in any way possible as long as your are trying. Get your next vehicle from Auto Credit and I promise you won't regret it. I thank God for these guys. If you are looking for a good car please give Auto Credit the first shot. They will try their best to get you in a good car or truck! If you ever need a vehicle, give this place a call or stop by. They are understanding and wonderful people. I have never seen a car dealership that hands out bibles after the sale. I would absolutely recommend anybody to stop by and ask for Lee or Daniel. Tell them I sent you! I've purchased two vehicles and any issues I have ever had were always taken care of. I love my Auto Credit family! They are easy to work with, friendly, and will treat you right. This is my 3rd vehicle I've purchased from Auto Credit/West Main. 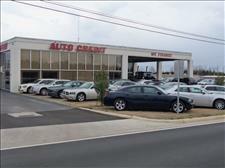 They are really nice and understanding and every car I have purchased has been a great vehicle! I ran a carfax on the one I have now and I am only the third owner and it had no wrecks. They are great people with great cars but don't take my word for it. Check them out for yourself and i promise you won't be sorry!